The Allen County Public Library (ACPL) is a mere 2-hour drive from home for me. So, I decided to take a day trip there to work on some different family issues. ~My 6th-great-GF is proven by the DAR as providing patriotic service. William Ballard, b: 1715, is Aaron Ballard’s great-grandfather. I copied the pages from a book listing people and how they helped the cause. ~William Ballard, b: 1715, has been a challenge to Ballard researchers over the years because of the uncertainty of his parents. However, while at ACPL, I found Lynne Miller’s, noted Ballard genealogist, books about the descendants of Thomas and Anne Ballard of Williamsburg, VA, revised in 2001. It clearly states that William, b:1715, was the son of William, who was the son of Thomas, who was the son of Thomas and Anne Ballard. ~Got a copy of the index of Aaron and Nancy Pearson Ballard’s marriage bond. I already have copies from the microfilm regarding the license, plus I found in all my papers a copy of the actual bond. 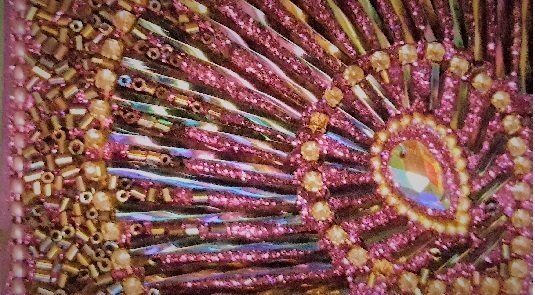 ~Worked on the Christian Eby line a bit. Christian Eby is said to have been the father of Catherine who married William Joseph Hickman, whose daughter Elizabeth married Thomas Pearson. Thomas Pearson was the son of Rev War soldier, Thomas Pearson. Whew! ~Worked on the Ford line a bit. I’ve been trying to tie John Ford and Lyman Ford together as father/son, which I probably can do with death certificates but I don’t have those yet, so I checked the Sullivan County, IN, sources at ACPL. I happened across an article/interview with John’s oldest daughter from his second marriage where she, in great detail, described them moving from Ohio to Indiana and also mentioned Lyman as being John’s son from his prior marriage!! Happy dance for that one! ~Next issue: Trying to find whether Nathaniel Ford, who served in the War of 1812, had filed a pension (or his widow). Nathaniel is my 4th-greath-GF, father to John mentioned above. I can find his service index card but no pension filed, for either him or his wife. John, in his autobiography for Sullivan Co, IN, said his father Nathaniel had married Prudence Bennett and they had had 13 children (John being born in 1808). When John was 7, they moved to an area in the Holland Purchase in New York, which turned out to be Genesee County, per census records. I can find Prudence on the 1820 census living in Elba, Genesee, New York, next door to a younger Nathaniel. In a history about Genesee County, it is stated that Nathaniel Ford moved there in 1820 and left his farm to his descendants. My assumption is he died around 1820; thus, no War of 1812 pension. Prudence is on the 1830 census but not the 1840 census; thus, no War of 1812 pension. I imagine I’m going to have to pony up $30 and send off a request to NARA for Nathaniel’s War of 1812 compiled service record and see what’s up. Also, John stated that his grandfather was a captain in the Revolutionary War. Would that be a Ford or a Bennett? I have no idea! I’ve been working on ruling out Fords. 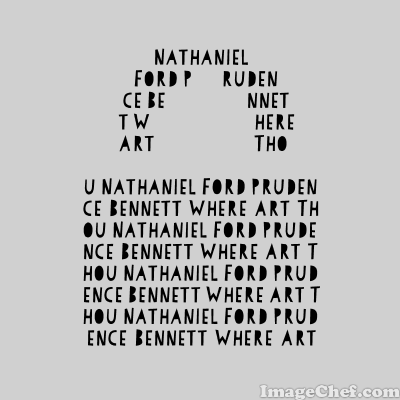 I find a Captain Ford who has a son Nathaniel but then I find Nathaniel is not married to Prudence. Also strange, I can find no evidence at all of a Nathaniel Ford marrying a Prudence Bennett! I have found a Nathaniel married to a Persis, a Mary, and a Rebecca, all during the time frame, but no Prudence. My next route is to try to find marriage records in NY for the children of Nathaniel and Prudence. I’ve noted some male Fords living in Genesee County on the 1830 census, possible sons. My ancestor, John, I know was married in Jackson County, OH, in 1831, but on the 1830 census I believe he’s listed in his mother’s household. A lot to do on this line. John seems to be an interesting character so I might portray him next. While at ACPL, I snapped photos of everything I copied, just in case. The library is wonderful! ETA (9 Dec 2014): I just realized this draft has been sitting out there, waiting to be published. As an update, I have unearthed new details about the Fords!!! Will put that in the John Ford post that I’ve started.